This hotfix will eventually be rolled into our monthly updates for Windows 8.1. I’ll update this article when this happens so you don’t have to manually push this hotfix out in your environments anymore. This will remove the NRPT from the registry and flush them by restarting the DNS Client service. Next time this machines updates it’s GPOs, it will get back into a broken state so be sure you get your NLS online ASAP! Ideally it’s best to host your NLS site on a highly available location such as a load balancer (if you have one at your disposal). ← Getting IP-HTTPS error code 0x80090326? Are you using forced tunneling for your DirectAccess install? Yes. It is a requirement. There is no option to disconnect DirectAccess when running a forced tunneling mode so this is expected behavior. Was trying to figure out if NRPT was causing win8.1 to detect there was no internet when there really was. 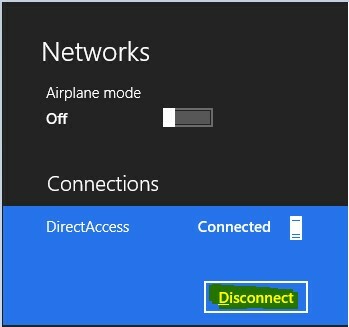 My 8.1 systems connect to directaccess and desktop apps work, but any metro apps won’t because it thinks that it can’t connect to internet. Are you using an internal proxy server to reach the Internet from inside of your network? No. I was under the impression that a proxy was not necessary due to the DA server doing the ipv6-ipv4 translation now in R2. The windows 7 systems work fine, and show that they are connected to the internet. Are you able to reach the Internet from the Windows 7 machines connected on DirectAccess? Can you run the following from an elevated command or PowerShell prompt on your Windows 8.1 DA client? What happens when you ping dns.msftncsi.com from the Windows 8.1 client while over DirectAccess? What do you get when you run the following PowerShell command? Nope. Still no luck. I have to leave for today, but I really appreciate your help. I can check back with you tomorrow if you are available. Actually the Disconnect button while in “Connected” state is not was is added by this hotfix, this was already possible if local name resolution is allowed by the policy. This hotfix adds it is the ability to Disconnect while NOT in “Connected” state. For me the most useful benefit is not the scenario of the NLS being down, but of DirectAccess being stucking in “Connecting” state, but at that point the NRPT is already active and you are unable to access corporate resources that would be available through public IP-addresses (in a split DNS scenario). An even better solution would have been to not make the NRPT active until DirectAccess is “Connected”. It appears that enabling the Web proxy AND enabling local name resolution might be the solution. Enabled web proxy by editing the group policy DirectAccess Client Settings > Computer Configuration > Policies > Windows Settings > Name Resolution Policy, select “.” (the first entry in the Name Resolution Policy Table), Edit Rule, select tab DNS Settings for Direct Access, check Use this Web proxy: , and I put in the name of one of our websense hosts. Enabled local name resolution in the remote access setup/console in the Remote Clients > Edit > Network Connectivity Assistant, check Allow DirectAccess clients to use local name resolution. (The solution for my windows 8 systems showing as limited, or not connected to the internet while using forced tunneling). I ended up not installing any hotfixes.